Getting your pest control website set up online can be a challenge. There are endless options. You can build one yourself or pay a developer 10’s of thousands of dollars to develop one from scratch. At Pest Control Domains we provide you with a professionally designed website at a fraction of the cost of traditional development. You get all the benefits of a professionally designed website for an affordable price. If you have questions about our service check the FAQ below. We want the process to be as simple as possible. If you have more questions just fill out the free consultation form at the bottom of this page. Our professionally designed websites cost just $99/month. Thousands of hours went into developing your website which has been optimized for SEO and mobile platforms. We automatically backup your website for you. In addition, we host your website on our of our super fast servers. No! There are not setup fees to get your website up and running. We’ll have your new website online within 2 weeks. What if I want to customize my website? We spend an average of 25 hours setting up each website. In addition we include 3 hours of customization for free. Customization to your website includes updating the wording, changing layout, or adding additional pages of content to your website. Keep in mind that website layout changes and adding new pages takes considerable time. Text updates are always free! Additional customization is available for $50/hour after the first 3 hours. Do I own the website design? When you get a website at Pestcontroldomains.com you are licensing the website from us for a monthly fee. You do not own the website design. Thousands of hours have gone into the development of these website templates. The website design, logos, layouts, photography, and functionality have all been done by experts in web design, development, and marketing. The benefit is that you get a professionally designed website for a fraction of the cost of hiring a development team. We do offer the option to buy the website design after installation. Please contact us for further details. Yes! If you already have a pest control domain name we can use your existing domain name. There is no additional cost for using your own domain name. No problem! Our pest control website templates were designed to be a complete solution. You simply provide us with the details about your pest control business. Once you select a template, logo, and accent color, we take care of the rest. You’ll have a fully functional website within 2 weeks! It depends. For clients who have an existing website we can do a free review. We’ll analyze your website and determine if it is set up to capture as many leads as possible for your pest control business. We will make a recommendation based on our findings but ultimately the decision is yours. The website contract is only for 30 days. There are no long term contracts! Please keep in mind that the website design is licensed from us on a monthly basis. If you choose not to renew your contract we will revert your website back to the original website you were using before you signed up. We also offer the option to buy out your website design after it’s installed. Do you use black hat techniques? A lot of SEO/Marketing services use “black hat” marketing techniques. Their goal is to quickly get you ranked on google. They do this by submitting your website to link farms, blog referral networks, and other spam techniques. While these techniques sometimes get quick results, they will hurt your business in the long run. Google (and other search engines) have a consistent history of detecting spam behavior by a website and your company will be penalized for this. Our company works hard to rank your business the right way. Our marketing specialists work hard to get your company set up for future success online without taking short cuts. It takes more time, but it’s the right way to get the job done! What happens if I cancel the marketing services? Our company will deactivate your PPC campaign so that no more ad dollars are being spent. Any existing SEO work that has been done will NOT be removed. You paid for our SEO work as a long term investment in your company and we leave it set up on the website. We offer pest control marketing with only a 30 day contract. Each month it’s your design whether to renew your contract to keep your monthly pest control marketing services active. By default your contract renews and payment is automatically made every 30 days. I don't really understand this stuff, what am I paying for? Over 80% of pest control business owners are in the same boat as you are. They understand they need a good website. They also know they need to be doing, “SEO stuff” online. When you sign up for one of our websites and/or marketing options you are paying for a few different things. Website: You are getting a professionally designed and tested website. When potential customers visit your website they will quickly get a positive impression about your pest control company. Hosting: We host your website on a super fast server. This means that customers aren’t waiting around for your website to load. 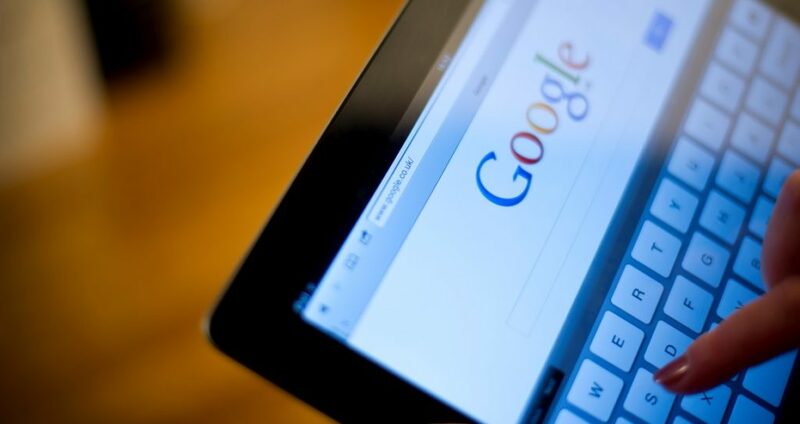 This also helps SEO and google will favor your website in search results. Backups: Each month we backup all of your website data to ensure nothing goes wrong. PPC: Pay per click campaigns are used to quickly get your company to the top of google’s search results. When a potential customer searches for “Pest Control Companies in YOURTOWN” they will find you. We manage the pay per click campaign each month and make adjustments to your campaign. Our team of experts understands the pest control industry and we know how to set up a campaign that gets results. SEO: Search engine optimization is a long term strategy. The strategy involves creating back links, writing quality content, and creating a website layout that is easy to navigate. This takes a considerable amount of time each month. Our writers and marketing experts work as a team to make sure your website can be organically on search engines. We get your company ranked on google so you can locate even more customers for your pest control business. It’s important to understand that it’s ALL of these things working together that makes your website/online presence successful. We see a lot of pest control business owners spends thousands of dollars sending traffic to a sub-par website that will never get results. We don’t want that to be you! Our pest control website templates and marketing are designed to bring new customers into your business. No problem at all! Just fill out the free consultation form. Our team of experts will be in touch shortly. We’ll take the time to get to know you and your business and find a solution that meets your needs.